ITfC conducted a study to design a framework for implementing ICT integration in school education for the entire country, in collaboration with Tata Trusts. The study aims to build a knowledge base on ICT program design which was submitted to MHRD as an input. The study also aim and also aims to influence organizations working in the area of ICT integration in education. 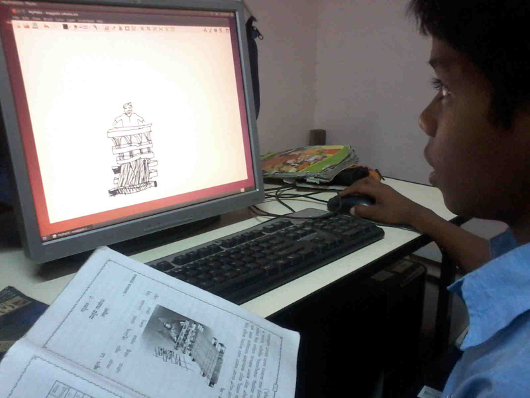 Based on the recommended design, the report computes cost/ investment benchmarks for a program for integrating ICT in school education in India. The report provides a holistic framework, covering ICT infrastructure, teacher education, curriculum and content and education administration, aiming to support the creation of an ecosystem of ICT integration. The note assumes certain principles- firstly ICT program should aim to support the achievement of educational aims. Secondly, ICT implementation must support the achievement of education policy. Thirdly, the design of ICT programs must consciously aim for sustainability, where the schools and other institutions can continue the integration of ICT beyond the initial investment period. The report discusses ICT integration across five components - ICT infrastructure, school level implementation, teacher professional development (TPD), curricular resource development and Educational administration. It is widely accepted that digital technologies (popularly known as Information and Communication Technologies or ICT) have the potential to strengthen and reform school education. However, in the absence of clear framework for program design, the impact on learning processes and outcomes from numerous attempts by different governments and other actors has not lived up to this potential. Understanding the educational context and appropriate embedding of ICT is a major focus of our work in Education. We are able to combine our research and the programmatic work to make policy / programmatic framework recommendations to governments.